Third Coast Belize is located 4.1 miles north of San Pedro Town, on the reef side of Ambergris Caye, directly east of Secret Beach. This puts us directly between town and Secret Beach and allows for the relaxation and privacy that North Ambergris Caye is known for. San Pedro Town is jam-packed with restaurants, bars, grocery stores, gift shops, churches, gyms, etc. and known for its nightlife and golf cart traffic. Once you cross the bridge to the north side of Ambergris Caye, you take “Road North” 4.1 miles to get to Third Coast Belize, passing dozens of resorts, restaurants, grocery stores and dive shops along the way. Road North reaches a “T” in the road where you can turn left to Secret Beach on the lagoon side or right to Third Coast Belize on the reef side. Being on the east side of the island, we have views of the Belize Barrier Reef and can easily access incredible snorkeling in our backyard. 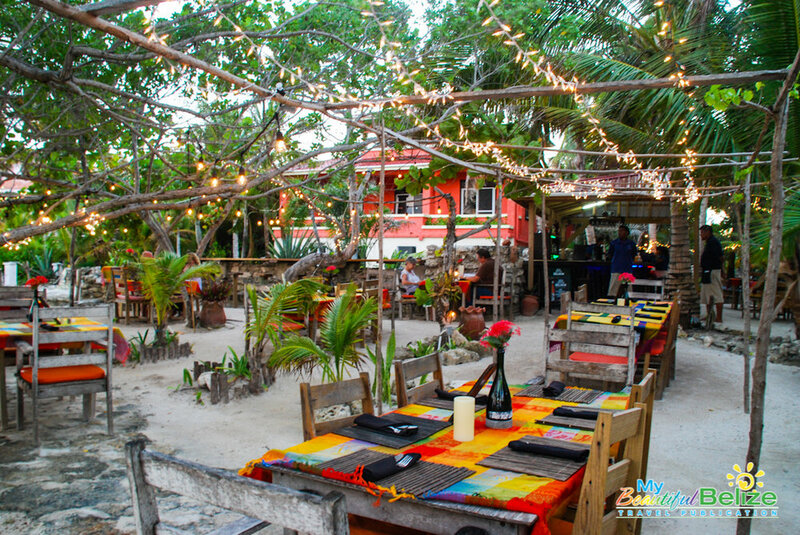 Four miles north on the west side of Ambergris Caye sits Secret Beach, formerly a secret local hang out, which has recently developed into an island favorite known for having the best beaches and several great bars and restaurants overlooking the clearest blue waters. For a true beach day, we highly recommend visiting Secret Beach. For dining and entertainment, we have several great restaurants, bars, dive shops and activities north of the bridge. Below are some of our favorites. SECRET BEACH is 3 miles directly west of us on the Lagoon Side.